We all know that appliances make noise, and we all know what sounds they should make when they’re running properly. The washing machine should sound like it’s filling up with water, and the coffee maker should sound like it’s brewing that first cup of joe in the morning. Your air conditioner also makes noise when it turns on, runs, and shuts off, but it’s important to know what noises your A/C shouldn’t make. 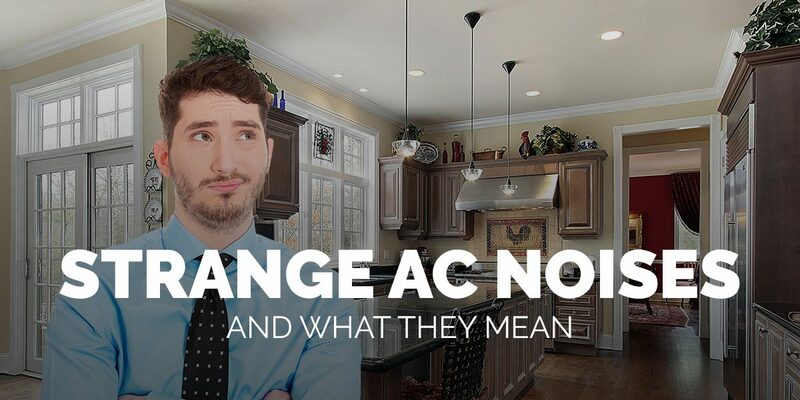 At Lamco Systems in Merrimack Valley, we’ve worked on all types of air conditioning units, and we’ve heard homeowners describe all types of sounds. If your system is making any of the noises described below, give us a call right away. You may hear a faint “click” when the A/C turns on, and this is usually made by an electrical part that’s telling the unit to start running. However, if there’s a constant clicking noise, that electrical control might be faulty and it’s important to have it checked as soon as possible. Clicking could indicate that the thermostat is failing, and without a working thermostat, your air conditioner won’t know when to turn on and when to shut off. We’ve all heard the banging sound that a washing machine makes when the drum is out of balance, and we often ignore the noise because our clothes are still getting clean. 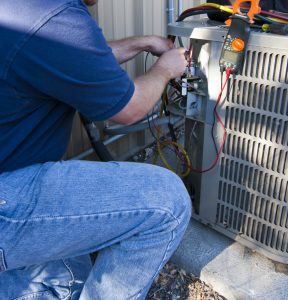 If your air conditioner begins making a banging sound, it’s essential to call an HVAC technician right away. This noise could indicate a broken or loose part, or that’s there something wrong with the compressor. Broken parts can cause serious damage to the inside of your A/C, and you may not want to run the system until repairs are made. A high-pitched squealing or squeaking sound is often an indication that the fan motor is going bad. You may only hear this sound when the system turns on, but if it’s consistent, it’s best to contact a repair company and leave the A/C off. If there’s an issue with the fan or blower, the system may not be able to push cold air through the house. A humming sound is often a sign that something that should be secured within the system has become loose. A part or piece of pipe may have come unscrewed or unmounted and is vibrating against another component, creating the humming sound. While it may not be serious, you’ll want to make sure the part doesn’t come completely loose and cause damage to your A/C. You count on your air conditioner every summer to keep your house cool and comfortable. You get used to the noises and sounds it makes on a regular basis, and probably aren’t even aware of them any more. However, when a strange sound begins emanating from your cooling system, contact the experts at Lamco right away. We can diagnose the noise and find the solution quickly, getting your system up and running again in no time.